Howland Island /ˈhaʊlənd/ is an uninhabitit coral island locatit juist north o the equator in the central Paceefic Ocean, aboot 1,700 nautical miles (3,100 km) soothwast o Honolulu. 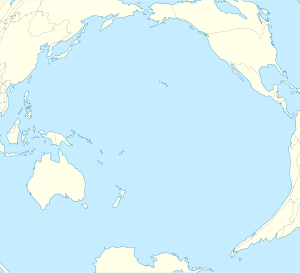 The island lies awmaist haufway atween Hawaii an Australie an is an unincorporatit, unorganised territory o the Unitit States. Geografically, thegither wi Baker Island it forms part o the Phoenix Islands. For stateestical purposes, Howland is grouped as ane o the Unitit States Minor Ootleein Islands. This page wis last eeditit on 5 Mairch 2018, at 03:37.